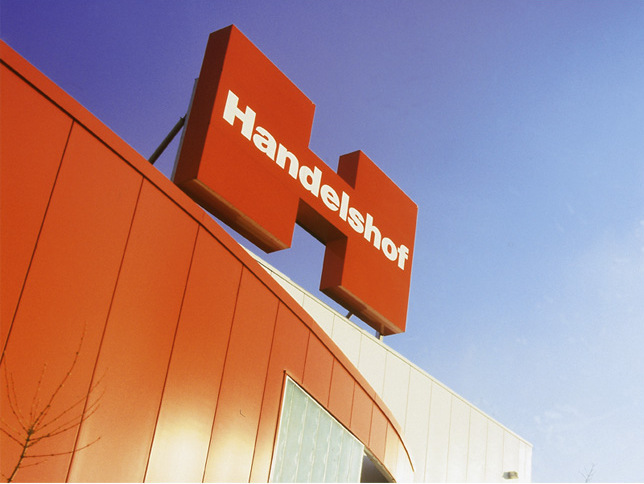 Since 1994 the activities of Handelshof-Group have been directed by Handelshof-Management GmbH with head offices in Köln-Porz, on the right bank of the river Rhine. All the operational areas of the group, ranging from marketing and purchasing to IT are located here, as well as the registered office of the company. Due to the increasing demands on the chain’s central IT, a consolidation of the existing server environment became necessary. In order to achieve this, the virtualization software Xen was installed on redundant high-performance servers. Thus, 20 virtual machines are able to perform many different services for more than 1000 users, ranging from the central Web-Server station to the handling of documents. In the course of this reorganization it became necessary to keep the storage – to which all these virtual machines are to have access – redundant and highly available. At the same time the performance is to be such, that every individual service is available at its full capacity. 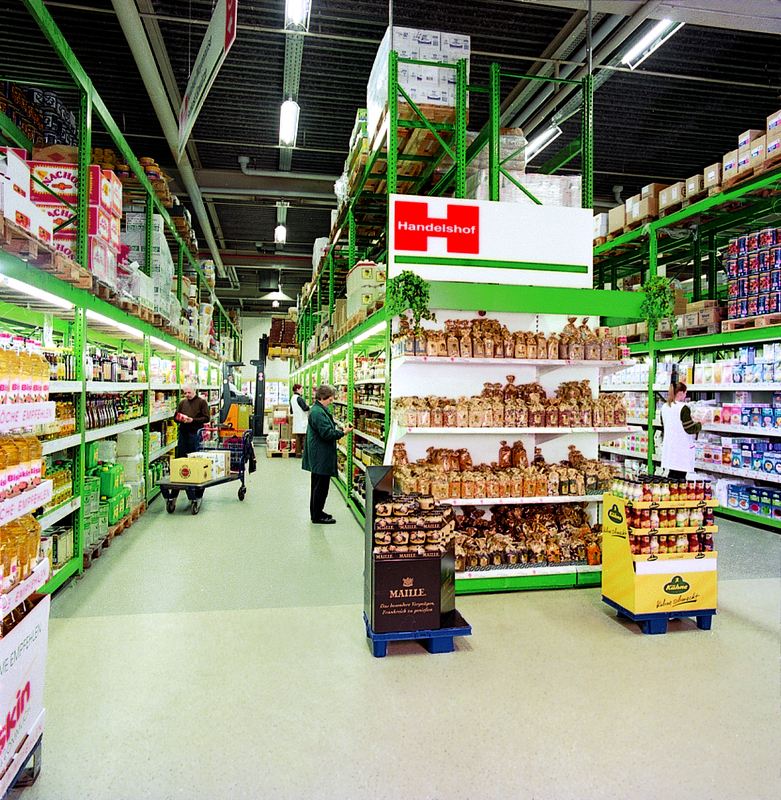 Here, the storage manufacturer EUROstor was commissioned to offer and to install a solution. A storage system located on two different computer sites is to guarantee that the data, too, are located in two different fire protection areas. Suitable premises with a network connection are already available. In conversations with the customer a SAN on iSCSI was selected as the ideal infrastructure. 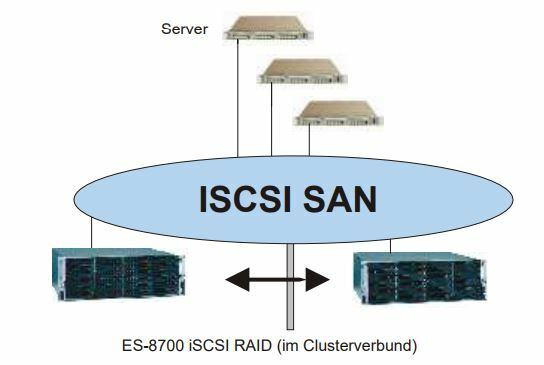 Two ES-8700 iSCSI RAID systems each per site with some 4 TB disk capacity each will be pooled to clusters in pairs – one pair of clusters for the production facilities and another one for test installations. The clusters operate with a virtual IP address, accessible for the individual virtualization servers. Since the data are replicated synchronously between the two cluster nodes, an automatic changeover to the second node is possible, without timeout or even loss of data, in case the master node should not be available for any reason. All systems are both equipped with high-performance SAS hard disks and with Enterprise SATA hard disks. Thus two storage pools are available, one of them for high I/O-demand (e.g. for databases), and one of them with a high capacity for the storage of data or for file-server services. By means of the Open-E Data Storage Server Software used in the systems, it is possible to create volumes on the systems as and when required, which may even be enlarged later; moreover, snapshots for data backup may be generated. The iSCSI cluster function with automatic failover will be assumed by the Open-E DSS Software. „The aim of the project was to increase the operational security of the central Handelshof systems while simultaneously consolidating and increasing flexibility of the server environment. 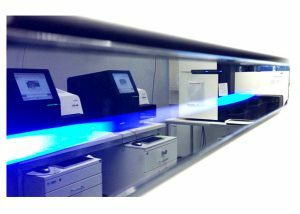 The EUROstor Storage Systems ES-8700 with Open-E DSS represent a cost-saving but stable solution that meets our high requirements“, says Dr. (RUS) Torsten Fimmel, Manager IT of Handelshof Management GmbH. 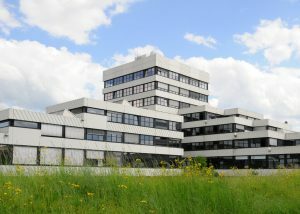 EUROstor is a European manufacturer of storage solutions, especially RAID systems and storage appliances, located in Filderstadt, Germany (near Stuttgart). EUROstor sells products only to business end customers and resellers.